Simon has been driving Citroëns since 1970 starting with a Light 15 and an ID19, but soon moving up to a Dyane. His current 2CV is used as a daily car and has been owned by his family from new; it shares space with an H van and a Light 15. His other interests include restoring historic buildings and playing with his grandchildren. Back in 1993 and at the tender age of 17, 'Bean' bought his very first car, a 1981 Beige Dyane 6, for £95, and became a member of 2CVGB for 2 years. In 2004 he rekindled his love for the marque and purchased a 1983 Beachcomber, adding to this a couple of years later an 87 Grey/Grey Charleston and Bamboo (which he never gelled with). After disposing of the Bamboo, Bean used the money and took the plunge into van ownership and in October 2012 bought a 1971 AKS400, which he imported from France. The Beachcomber has finally been resurrected after spending 2 years laying in bits on the garage floor. The Charleston is in need of a new chassis, having succumberd to the dreaded rust worm, and the van, well what can I say...it just keeps going. Matt has owned Citroën A series cars since 1992, learning to drive in a wreck of a '76 2CV, before discovering the Ami 8 by accident in 1997 after being run over by one at a camp. Seeing this as the future (due to concussion, probably) he has kept an Ami 8 on fleet since then, taking over the Ami Register in 1998. Matt has stayed true to the Ami even after being distracted by 2CVs, Dyanes, Ami Supers, Trabants, Wartburgs, mopeds, GS, CX, BX, and the mighty DS. Reduced to poverty after DS ownership, Matt now drives a Citroën LNA as a penance, and represents the Registers on the committee in the role of Registrar of Registers. In this role he assists with dating and authentication for Club members' cars, and represents the Club to bodies such as SPOG, the DVLA and FBHVC. Dan oversees the production of new parts as part of the SPOG initiative. Simon was first introduced to all things A-Series when his mum and dad bought him 'VOK' at the age of 14. Two restorations later, 'VOK' is now sporting her original colour and is looking mighty fine for such an old girl. Mark is in charge of all the equipment that the club stores in Ruskington. Should you have a request/enquiry about borrowing anything specific the club owns, please contact Mark direct. Vanessa has been riding around in 2CVs since the age of 3, thanks to her mum’s passion for la deuche. Some members may remember Vanessa for organising the 2011 National in Oxford, however, this time she’s back on the committee wearing a different hat. Owing to her current day job involving policy writing, and having taught children for many years in the past, she’s taken up the compliance role for 2CVGB. Mark is 2CVGB's 'foreign ambassador' and pioneering 4x4 2CVer. 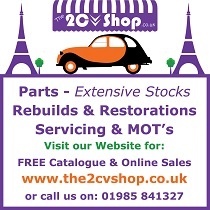 He has forged great links with other national 2CV clubs worldwide, and is full of information about what's happening on the 2CV scene overseas. 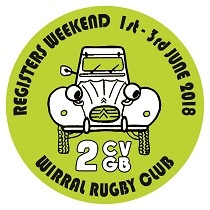 If you are an organiser of a non-UK 2CV event, please tell Mark about it so he can publicise it to our members. 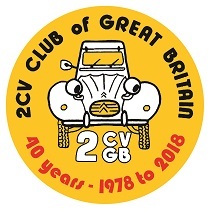 Mike has been a 2CVGB member since 1981 when his wife Judith had the good idea to buy a 2CV. He has driven them in many countries. Mike's main contribution to 2CV world is the invention of a replacement AK400 floor made from old biscuit tins. Also hundreds of cartoons for 2CVGB News and stickers and T shirts. Google Streetview are kindly displaying my 2CV to the world! (see HP12 3NG No 37.) He also has an H van and used it for the 1000+ mile round trip to Salbris.